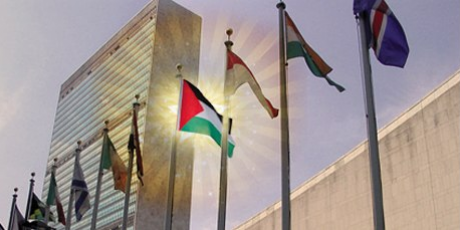 In 24 hours the UN Security Council will meet, and the world has an opportunity to embrace a new proposal that could turn the tide on decades of failed Israeli-Palestinian peace talks: UN recognition of the state of Palestine. Over 120 nations from the Middle East, Africa, Asia, and Latin America have already endorsed this initiative, but Israel's right-wing government and the US are vehemently trying to block it. Australia is still undecided. Only a massive urgent public push now could tip the government to back this momentous opportunity to move towards Palestinian self determination and an end to this bloody conflict.